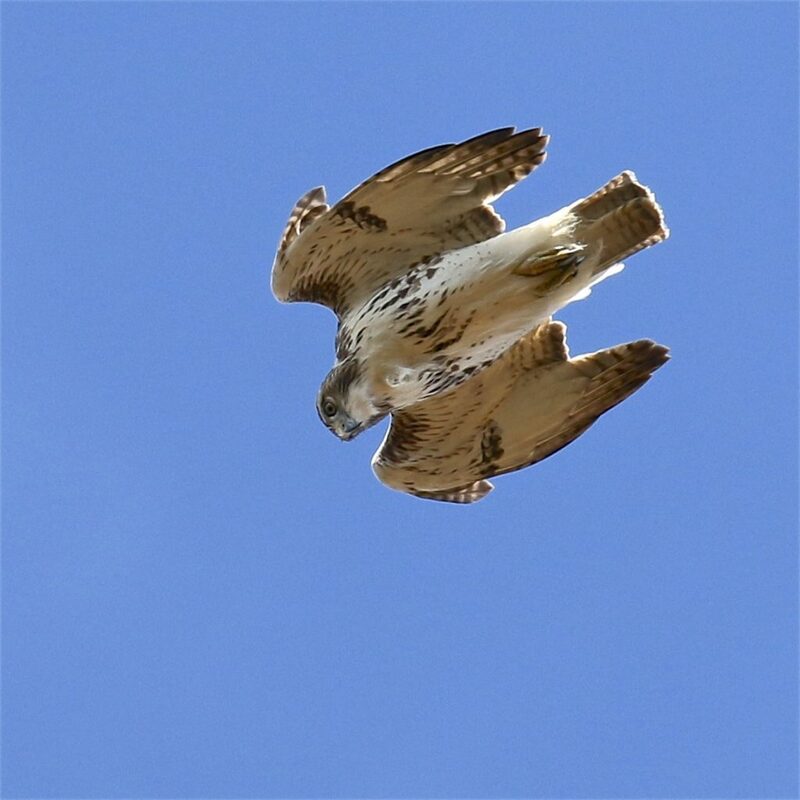 I was pretty sure that hawkwatch would be a dud this past Saturday. Southwest winds were in the forecast and the previous day’s count was on the low side (with a northwest wind!). Early on, it seemed like I was right; the watch got off to a very slow start, and I have to say, I was super cranky about it. 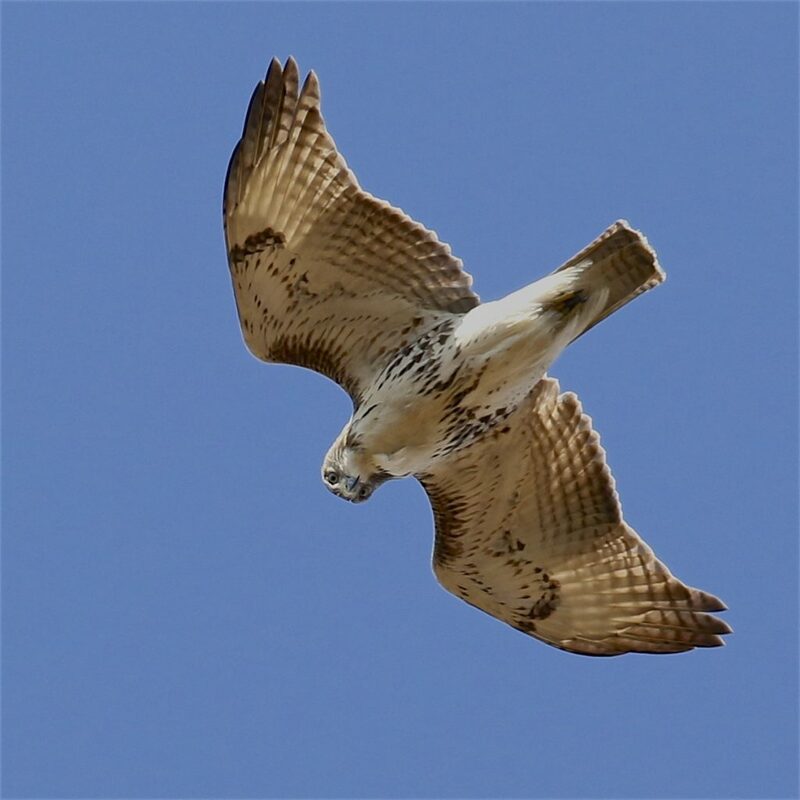 I did not have a raptor of any sort for the first two hours and fifteen minutes, when I finally had a local Red-tailed Hawk hunting over the valley. Migrating birds started to trickle through shortly after that, but really, it was a slow day. Things started looking up when I got a visit from Gerhard and Tracy Patsch. 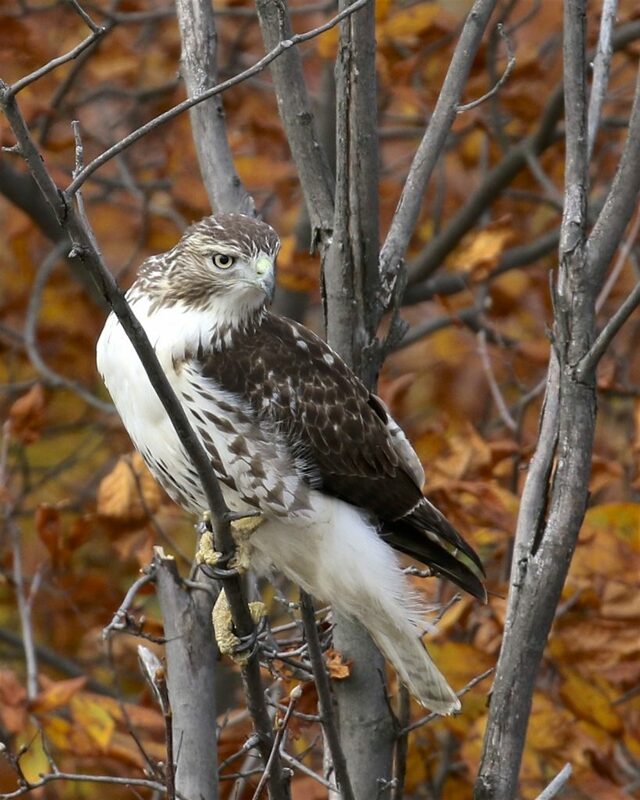 We had some interesting conversations, and they seemed to have brought one of the local Red-tails along with them. 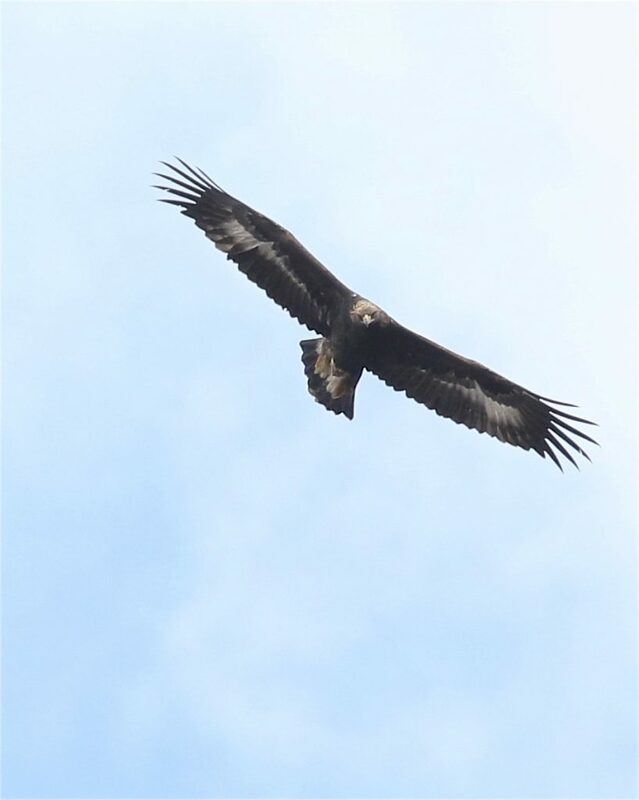 It was the first time that I’ve had a local “tail” perch and hunt in the viewing platform area. And then bird put on a final show for us, hanging in the air directly above the platform and not very high up. The three of us really enjoyed great looks and I took many photos. Visitors: Gerhard and Tracy Patsch, Tricia Zeitler, Carrie and Cruz Craigmyle, Bill, Carolyn, Cameron, and Mackenzie Martocci. Weather: Partly cloudy with a southwest wind. Temperatures ranged from 4 to 18 degrees Celsius. 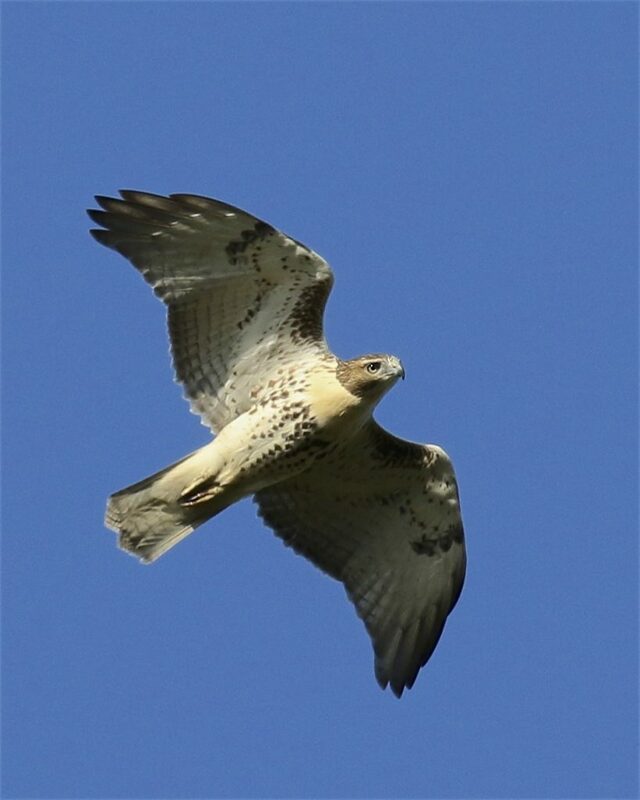 Raptor Observations: It was a slow start; the first raptor observed was a local Red-tailed Hawk over 2 hours and 15 minutes into the watch. One female Northern Harrier and at 3:45 one immature Golden Eagle passed through, circling right over the view platform, giving amazing views. Non Raptor Species: American Crow (28), Blue Jay (24), White-breasted Nuthatch (2), Black-capped Chickadee (9), American Robin (32), Common Raven (2), Cedar Waxwing (25), Tufted Titmouse (1), Downy Woodpecker (1), Pileated Woodpecker (1), Ring-billed Gull (1), Red-bellied Woodpecker (1), Eastern Bluebird (5), Canada Goose (6), European Starling (20). 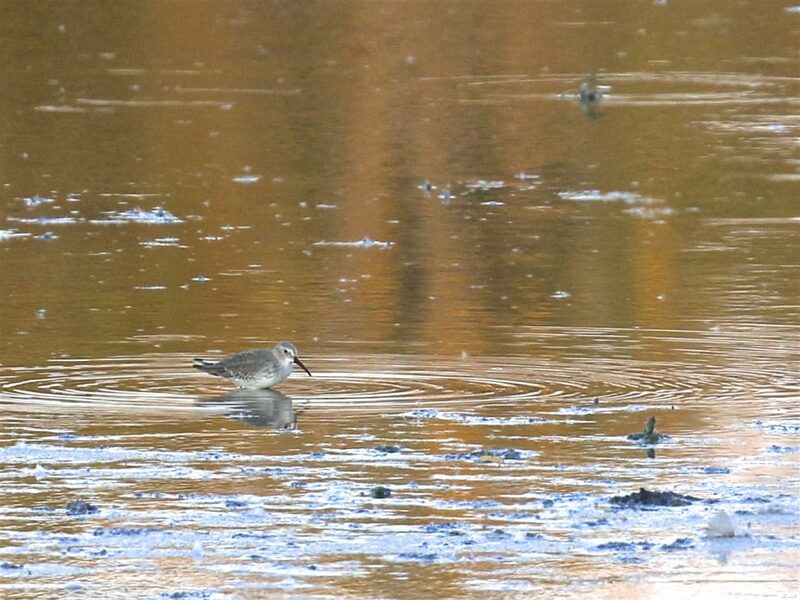 ~Going in for the kill, RTHA at Mount Peter Hawkwatch, 10/29/16. Unfortunately the bird came up empty on this attempt. 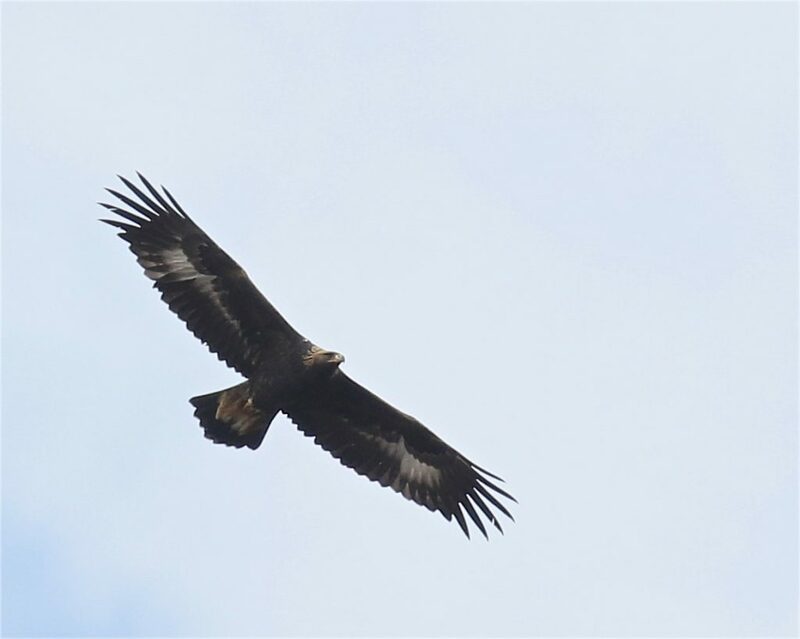 SUPER QUICK POST: We have family visiting for the weekend, so no time for a real post, but I had an immature GOLDEN EAGLE at Mount Peter Hawkwatch this afternoon! 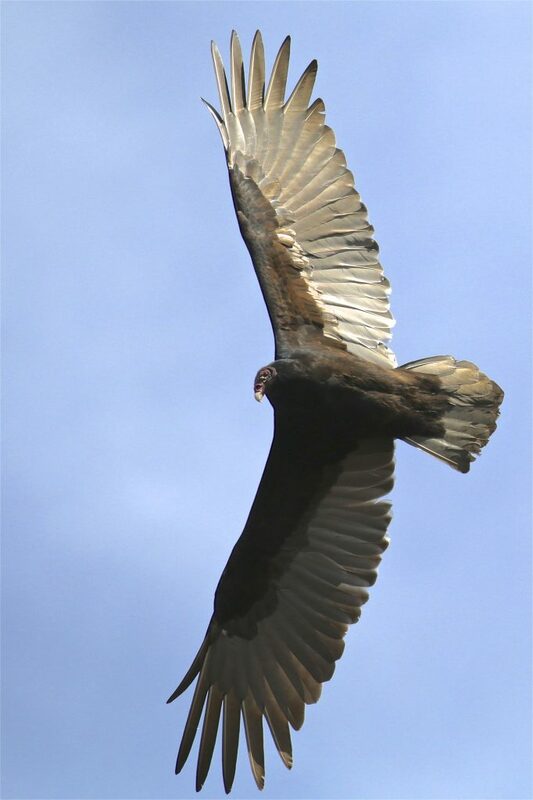 The bird made a relatively low pass over the viewing platform, allowing for incredible views and and decent photos. 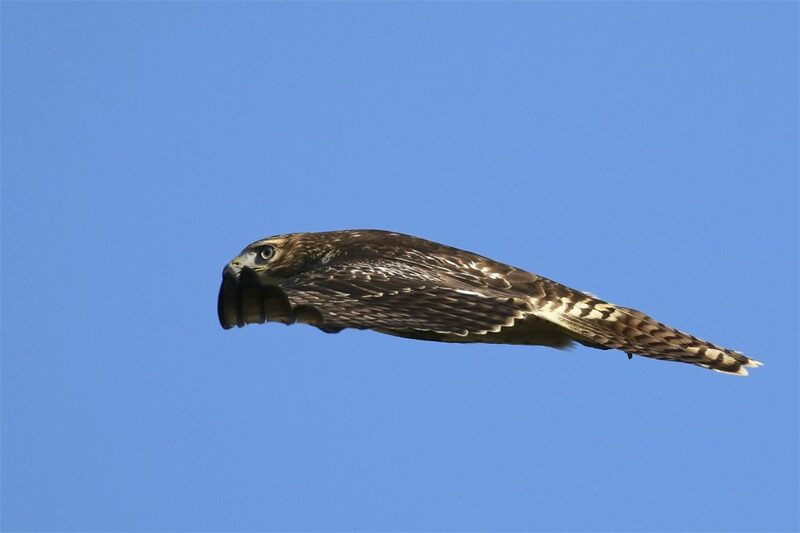 Full hawkwatch report to follow tomorrow! 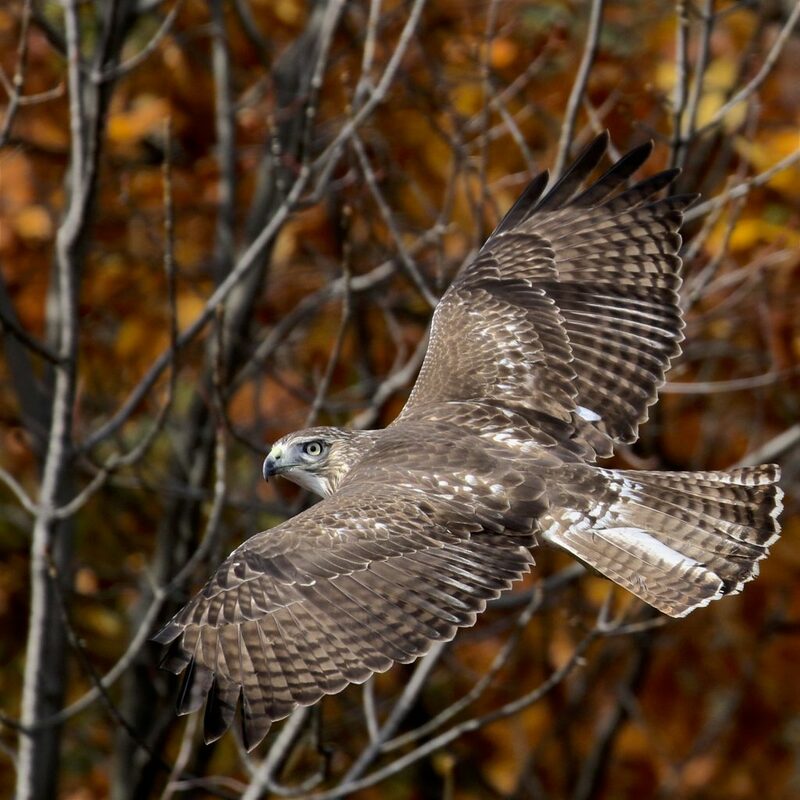 Author mattzeitPosted on October 29, 2016 Categories Orange County, Raptors, Rarities10 Comments on Wow! 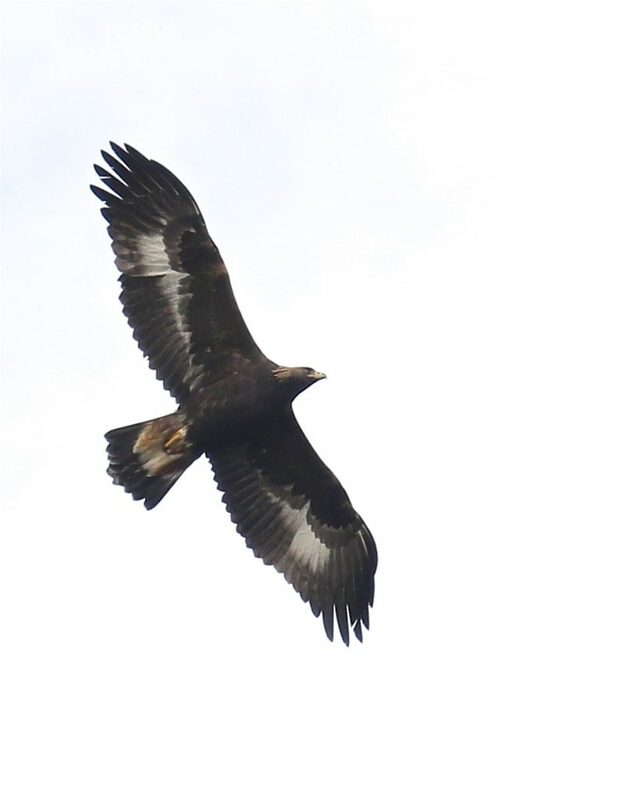 GOLDEN EAGLE! QUICK POST: Huge thanks to Kathy Ashman, who texted while I was at work to let me know she had located a SANDHILL CRANE at 6 1/2 Station Road Sanctuary. I ran for the bird after getting out of work this afternoon; Maria Loukeris met me at the sanctuary and got me on the bird very quickly (thanks!). Which was a good thing, because shortly after my arrival, the bird picked up and relocated deep into the reeds and out of sight. The bird was distant, but I was still super excited to see this excellent bird and get some documentary photos. And, of course, it was great to get it in Orange County and add it to my year list (#208). 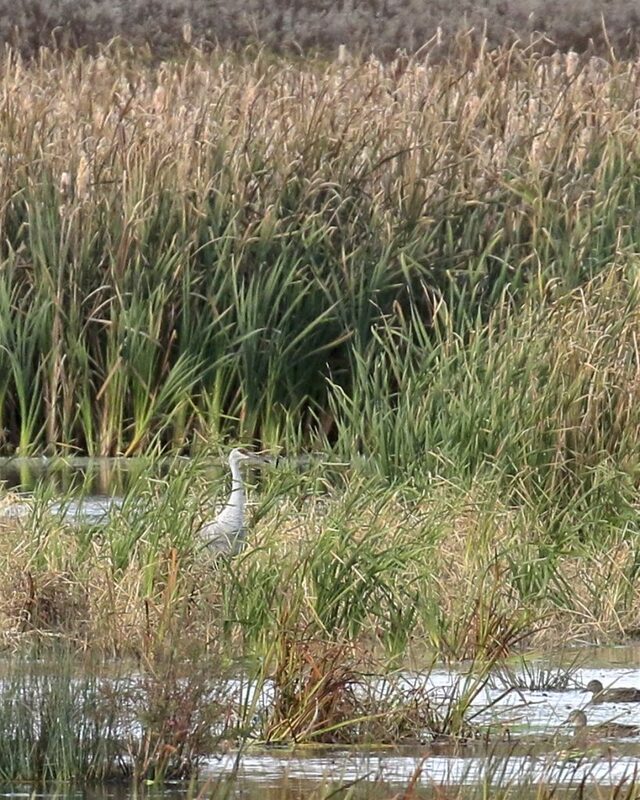 Author mattzeitPosted on October 26, 2016 Categories 6 1/2 Station Road Sanctuary, New York State, Orange County, Rarities8 Comments on Orange County SANDHILL CRANE! Mount Peter Ski Area is known as “The Friendly One”. I think the same can be said for Mount Peter Hawkwatch, where the birding is great but camaraderie is awesome too. I was basically rained out yesterday (I managed only one relatively rain-free hour at the watch, where I had 5 Sharp-shinned Hawks stream through), so I headed up to Mount Pete this morning get my fix. 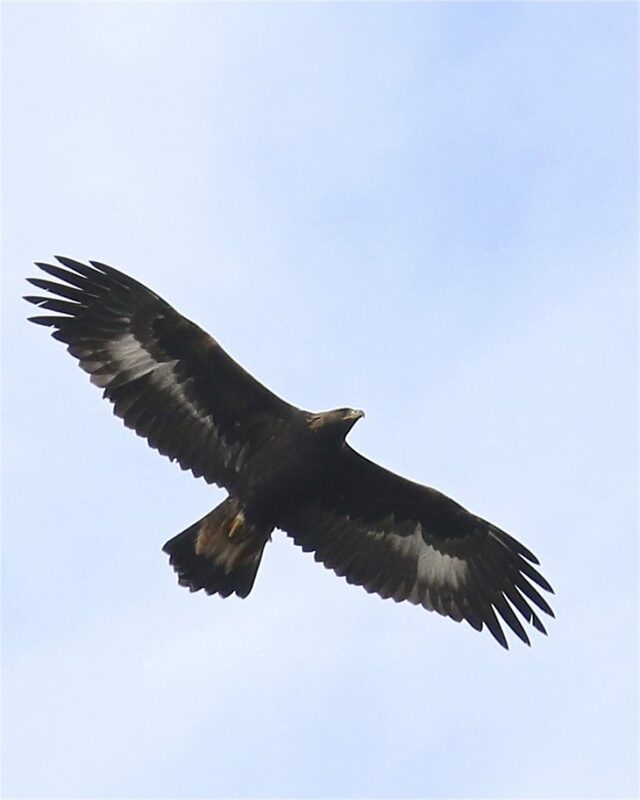 There was a strong WNW wind and I was hoping for a good flight and maybe even a Golden Eagle. I wasn’t the only one that had that idea – Mt. Pete counters Judy Cinquina, Tom Millard, and Denise Farrell all joined me and the official counter of the day, Ken Witkowski on the viewing platform. 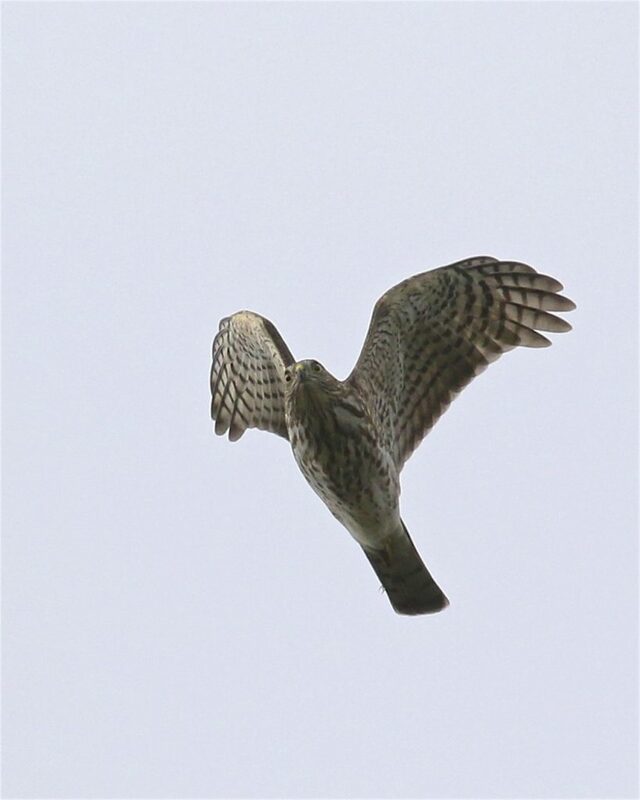 There were also several visitors and they all seemed to be serious hawkwatchers too. It was a great group and I really enjoyed my time up there today. 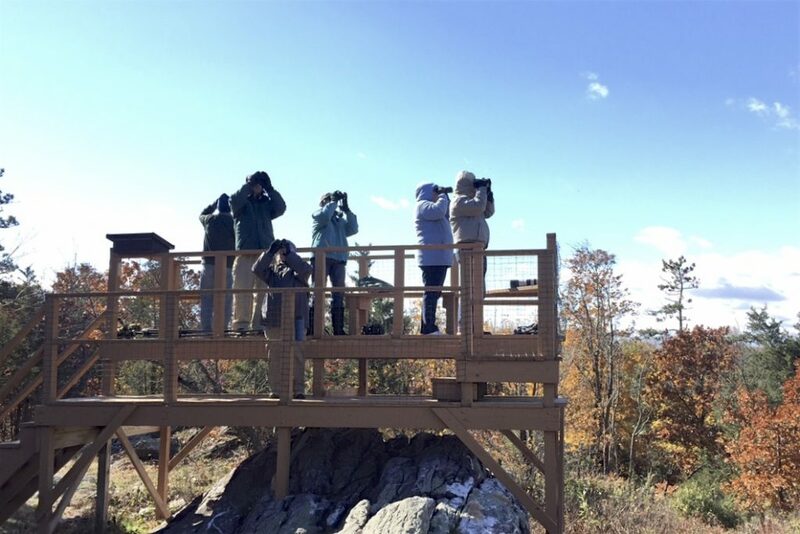 Birding often serves as an escape for me, time to get away from everything and everyone, but hawkwatching is one of the exceptions to this and the social aspect is often just as rewarding as the birding. 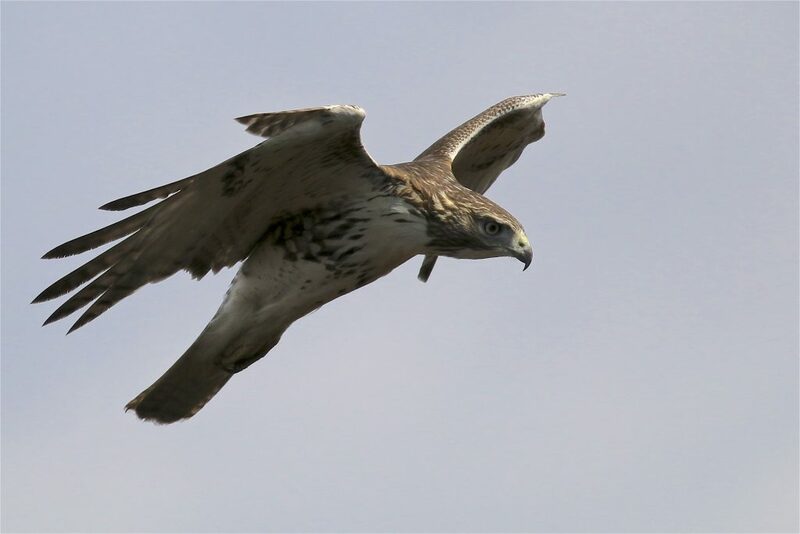 As for the hawks – the wind was very strong up on the mountain, making it difficult to keep my binoculars steady and early on, I wondered if the wind was too strong for a good flight. Thankfully, that was not the case. 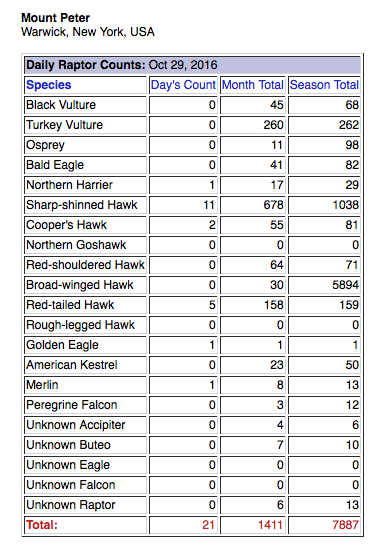 In the 4 hours I spent on the mountain, we had a good Sharp-shinned Hawk flight with over 40 Sharpies being counted. 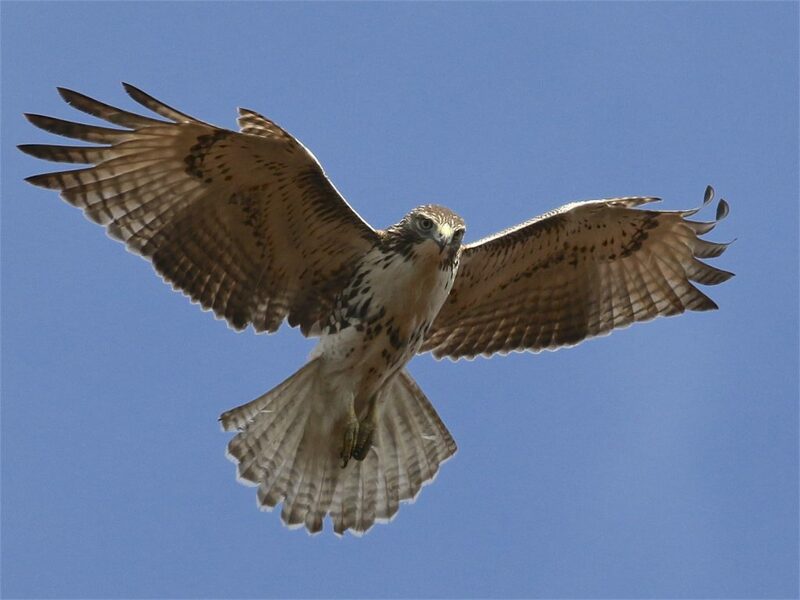 Red-tailed Hawks and Red-shouldered Hawks were also moving a little bit, with 10 and 5 birds counted respectively. It was interesting to us that on a day with such strong winds, it was the little Sharpie that was braving the wind, rather than the larger birds. 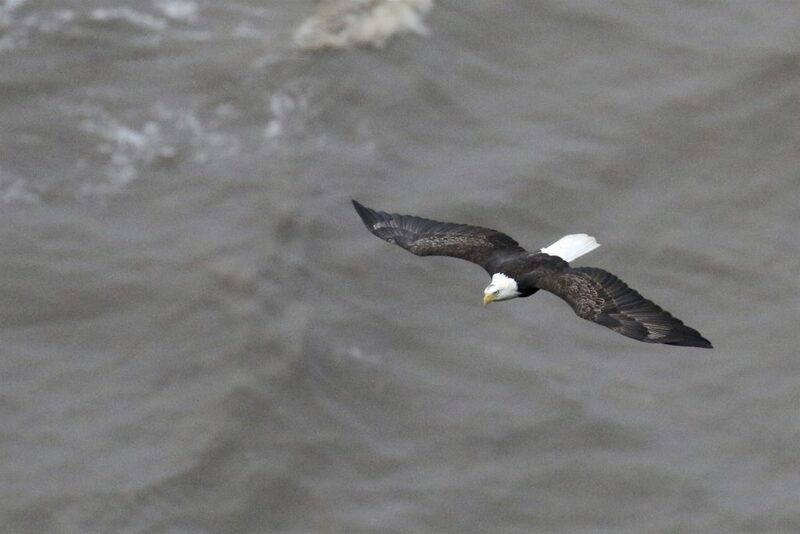 We had only two Bald Eagles while I was there, one was a local bird that headed north, and the other migrated. 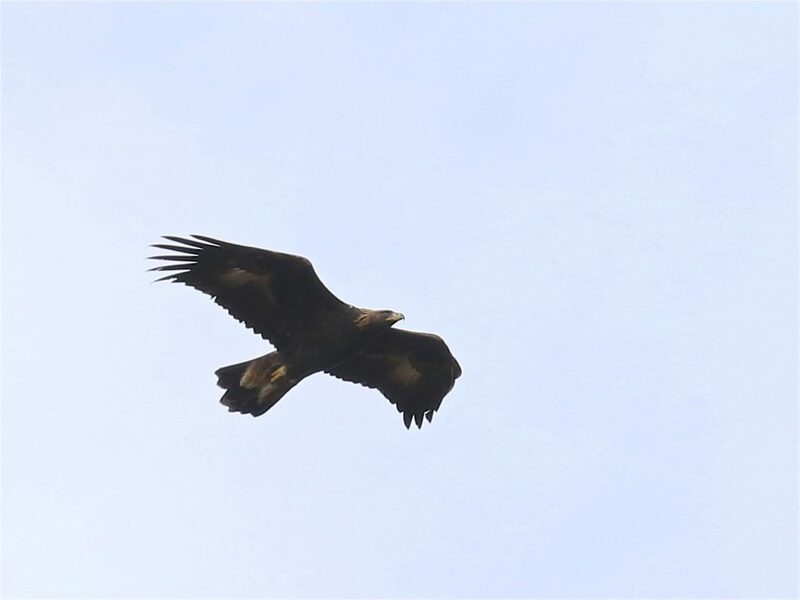 As for Golden Eagles, I’m sure one migrated through shortly after I left the watch (as of this writing the report had not been completed). It was a great day at the watch and it made up nicely for missing my day of counting yesterday. QUICK POST: I got out to 6 1/2 Station Road Sanctuary’s Citgo Pond a little on the late side this evening; I had some things to take care of directly after work. 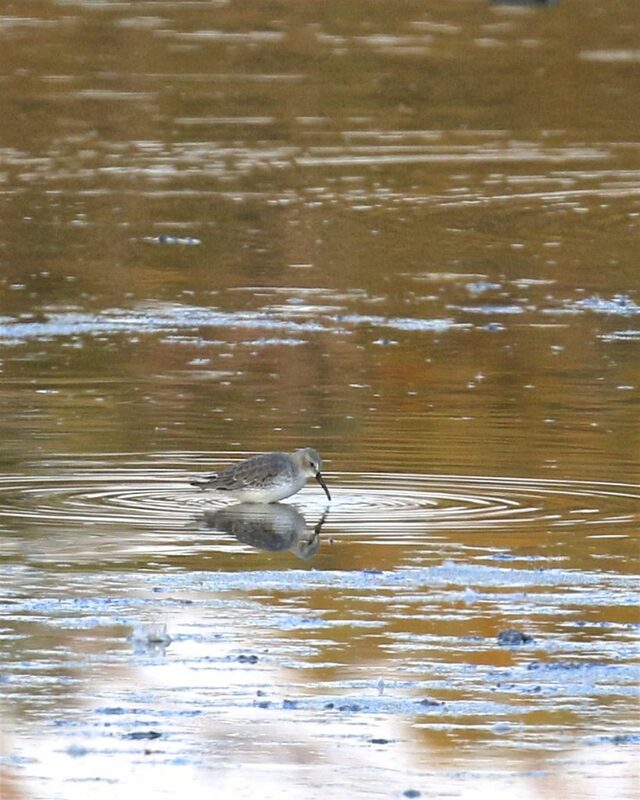 But, when I eventually got out there, I finally had a new bird – a single DUNLIN. I got super looks at the bird in my scope, but the bird was a bit distant for any decent photos. I was super excited, I’ve been waiting for a while for something good to make its way to Citgo, and Dunlin were on my list for sure. 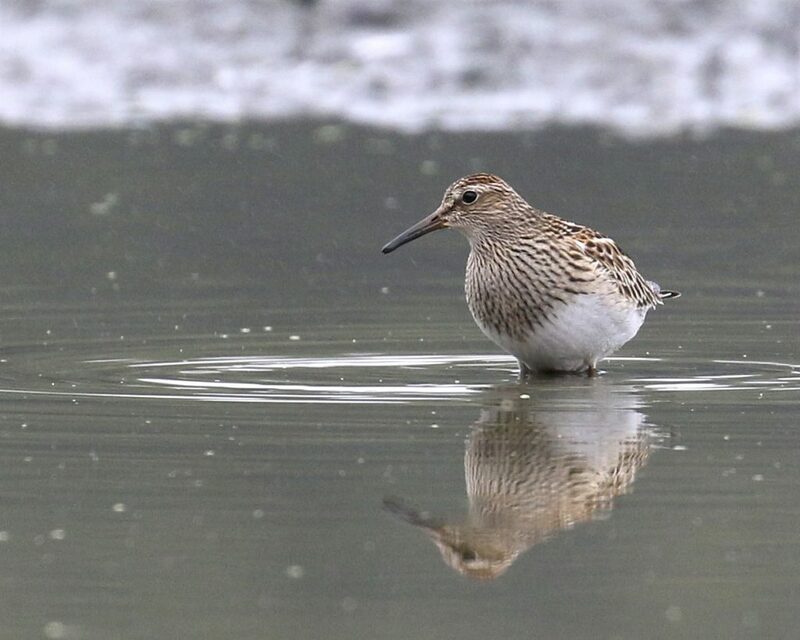 This Dunlin is my 207th species in Orange County this year. Sunny with almost no clouds. Gentle winds from the east early on and shifting to the south. Temperatures ranged from 6 to 19 degrees Celsius. Other species: Cedar Waxwing (30), American Crow (13), Common Raven (4), Black-capped Chickadee (6), Ruby-crowned Kinglet (1), Blue Jay (25), Canada Goose (11), Northern Cardinal (1), American Goldfinch (5), White-breasted Nuthatch (1), Red-breasted Nuthatch (1), Blackpoll Warbler (1), Eastern Bluebird (2), Yellow-rumped Warbler (4), American Robin (2), House Finch (1), Red-bellied Woodpecker (2), Ring-billed Gull (4), Yellow-bellied Sapsucker (1). After work I went to Wickham Lake to see if any good waterfowl had moved in. 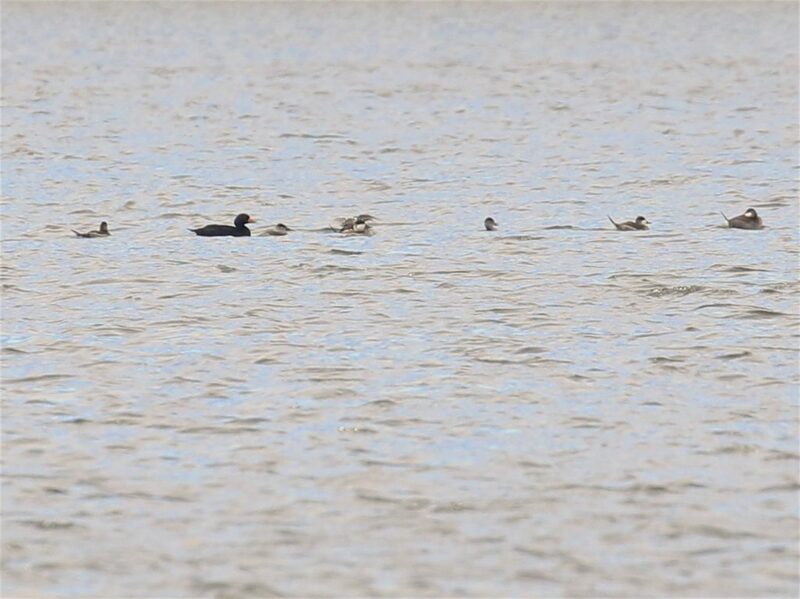 I’d read a report from Scotty Baldinger that he and John Haas had 8 Black Scoters and one White-winged Scoter at Neversink Reservoir earlier in the day, so I was hoping for scoters as well. 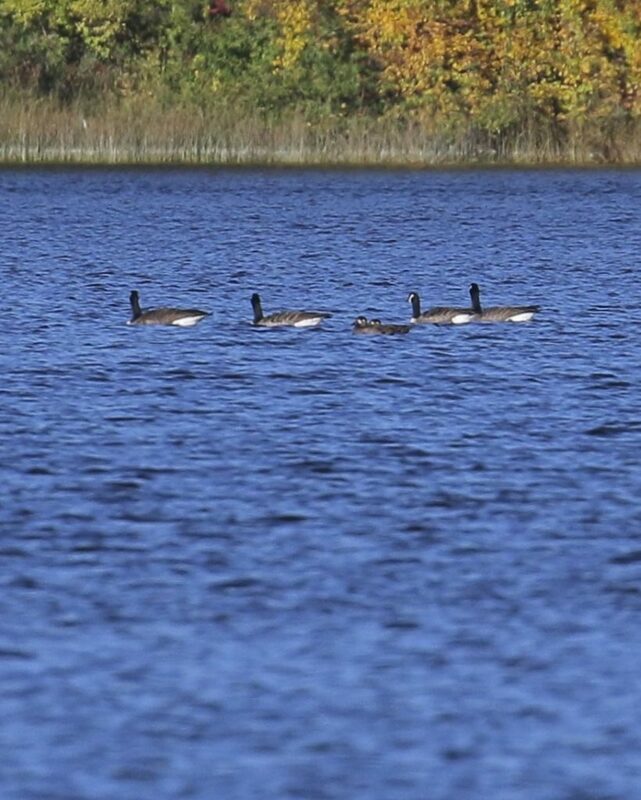 I located two scoters, very distant out on the lake. I did not have a guide book with me because I’d used Tricia’s car for birding over the weekend and forgotten it there. I did a quick google search and thought I came up with a good match with White-winged. I did my best to take some usable photos and I put the word out. Rob Stone went for the birds later in the evening and he was thinking the birds were more likely SURF SCOTERS. 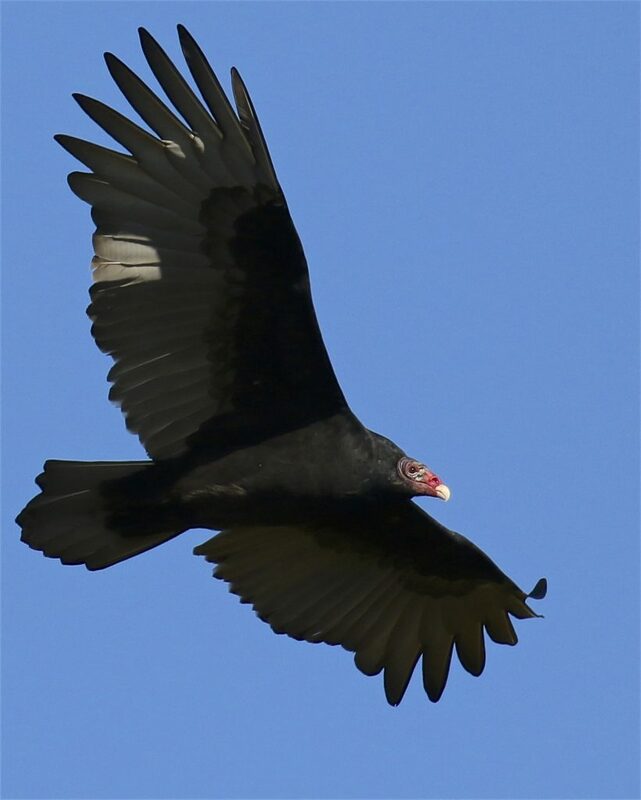 I checked my guides, and I sent my pics to Rob and John who both agreed that the birds were SUSCs. 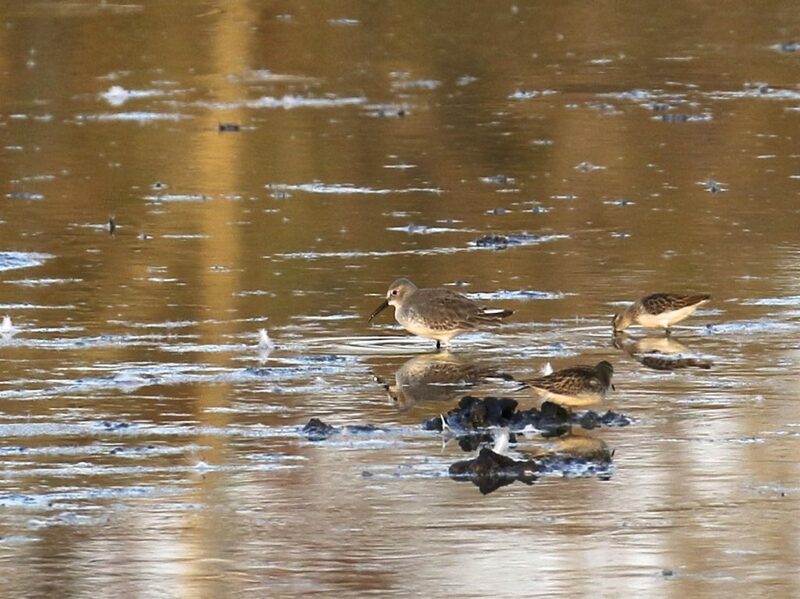 Here are some of the indicators – first, no white was seen on the wings (this is not conclusive because depending on how the bird is sitting in the water, a WWSC might not show any white on the wings). But, more importantly, the pattern of white on the face of the bird runs up and down; this is indicative of the straight edge of the bill of a Surf Scoter (for WWSC it projects forward due to the shape of its bill). And, also, the head has a dark capped look and has a more blocky appearance than WWSC. 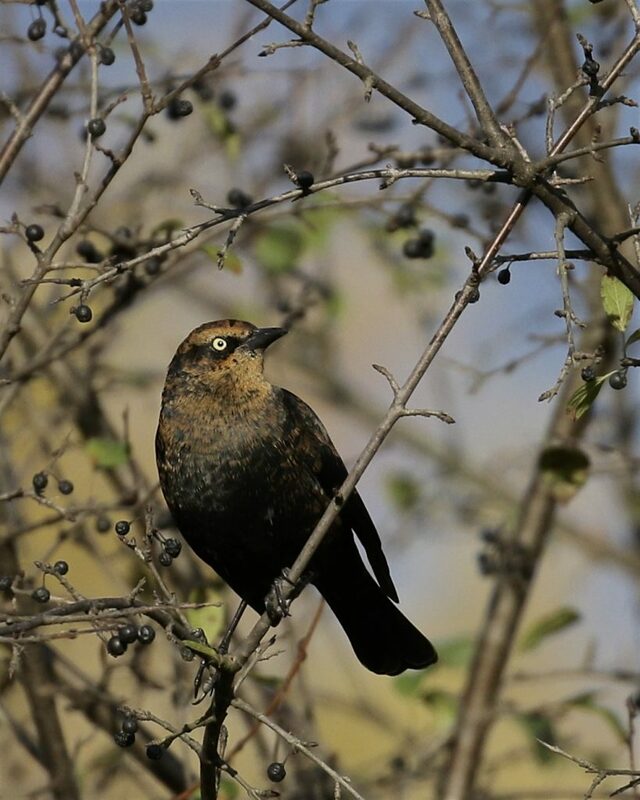 This is my 235th life bird in Orange County and number 206 on my OC year list. Thanks to Rob and John for helping out on this one! 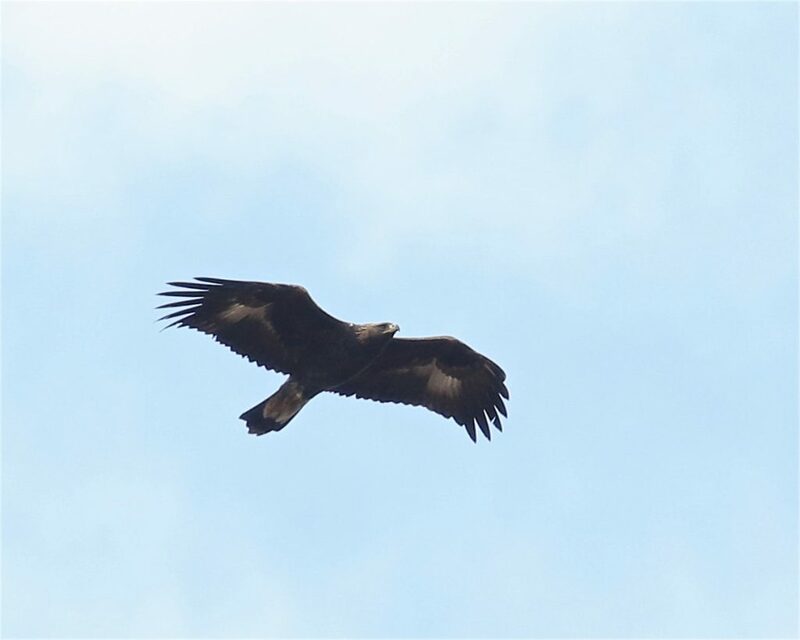 Update: I forgot to include this last night when I posted – I wanted to mention quickly that this post is a bit of a milestone here at Orange Birding; it’s the 500th post! Here’s to 500 more! Author mattzeitPosted on October 10, 2016 October 11, 2016 Categories New York State, Orange County, Rarities, Swimming Waterbirds6 Comments on Orange County SURF SCOTERS! 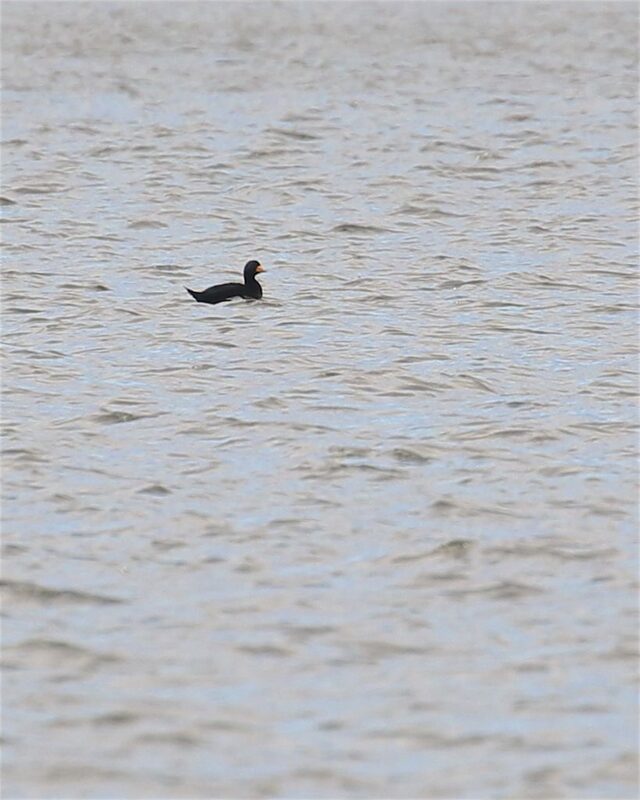 QUICK POST: This afternoon, Linda Scrima, Kyle Dudgeon, and I ran to Wickham Lake for a BLACK SCOTER that was located earlier in the day by Rob Stone. 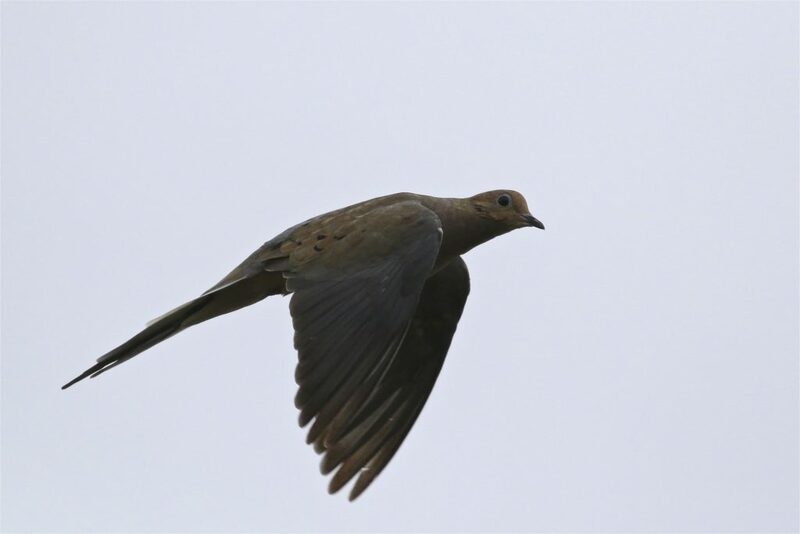 When we arrived, the bird was very distant, but identifiable with scope views. Kyle had to run, but Linda and I walked the trail on the east side of the lake to get a better look and some photos. The bird was closer from that side of the lake, but spent most of its time tucked in. It finally untucked a couple of times and I was able to get some documentary shots of the bird. 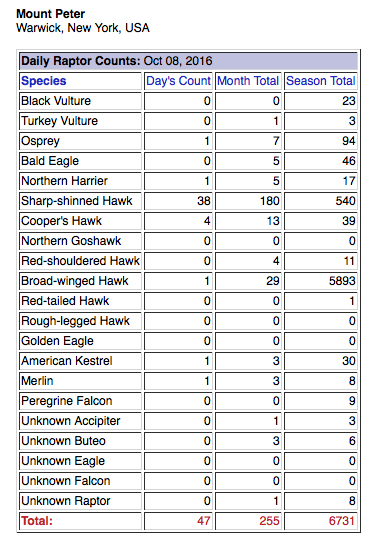 I was particularly excited because it was the 205th species I’ve had in Orange County this year. 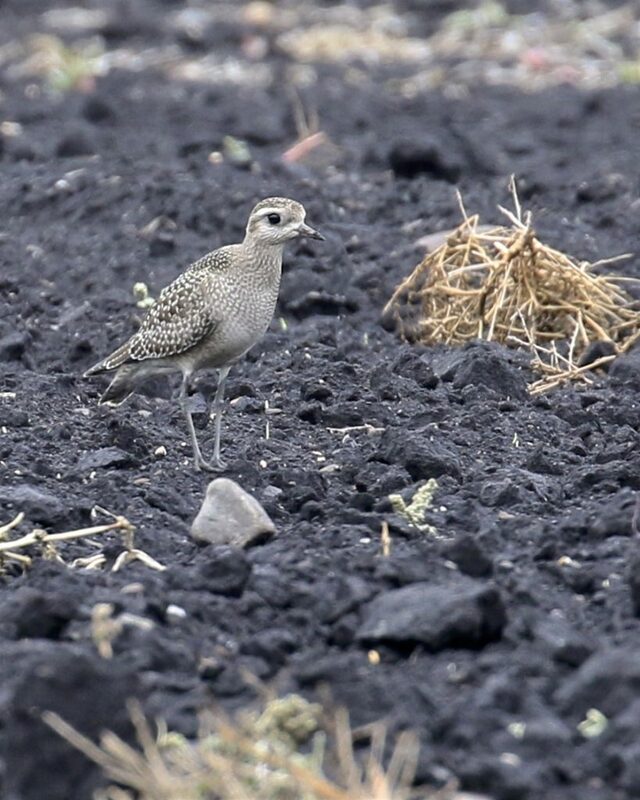 Thanks once again to Rob Stone, who just keeps finding great birds. 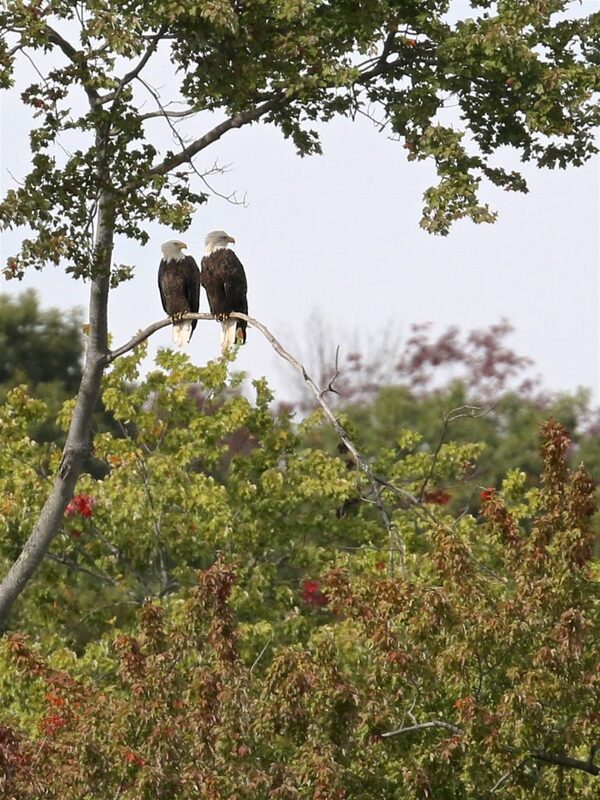 Another highlight was seeing a pair of Bald Eagles sharing a branch as a perch. It was a little bit distant, but I’ve included a photo of the cute couple. 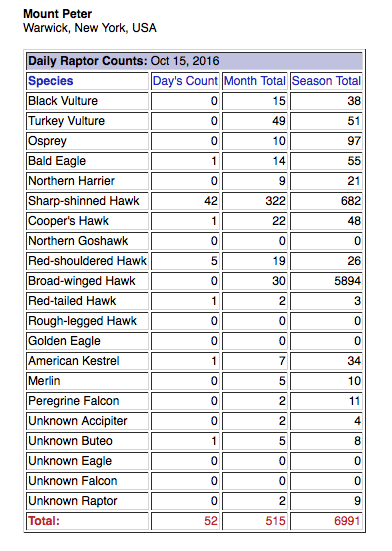 I got out and did a fair amount of birding this weekend, especially because I didn’t count hawks at Mt. Peter Hawkwatch on Saturday, due to the fog and light rain that persisted throughout the day. 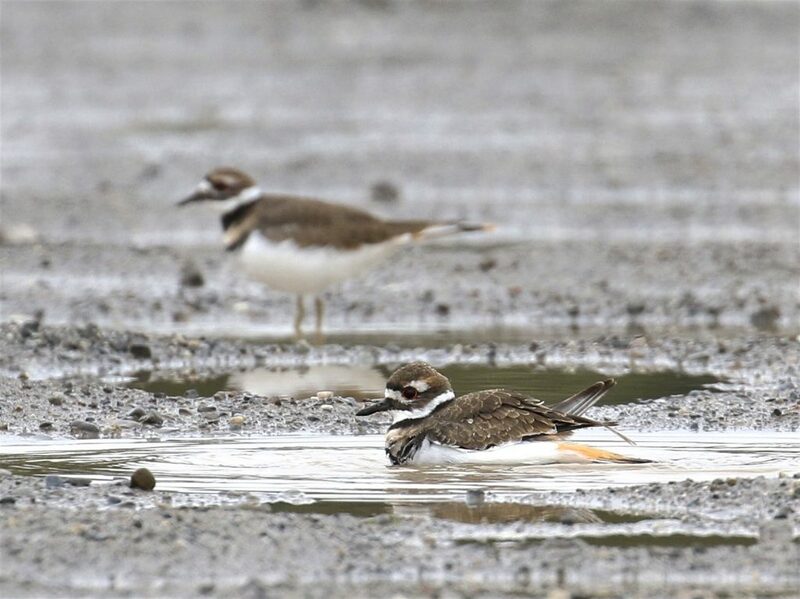 BLACK DIRT REGION: I received reports from Bruce Nott and Ken and Curt McDermott on Saturday that the collection of plovers in the black dirt continued. 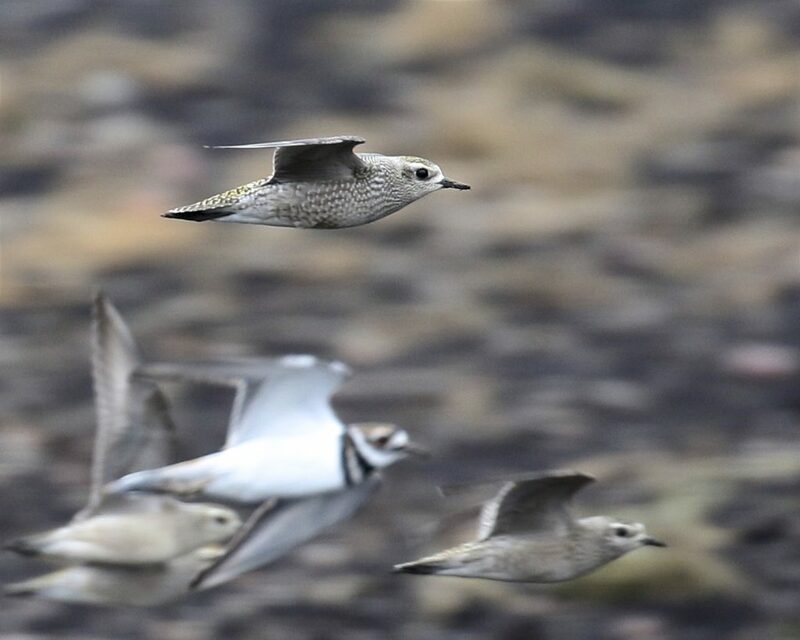 Curt and Ken had a very nice count of 41 American Golden-Plovers and 5 Black-bellied Plovers. On Sunday, I met Linda Scrima in the late morning. The plovers were present, but distant. We lingered, and eventually they flew in closer, with a couple even landing on the road. We had a total of 34 AMGPs and 3 BBPLs. 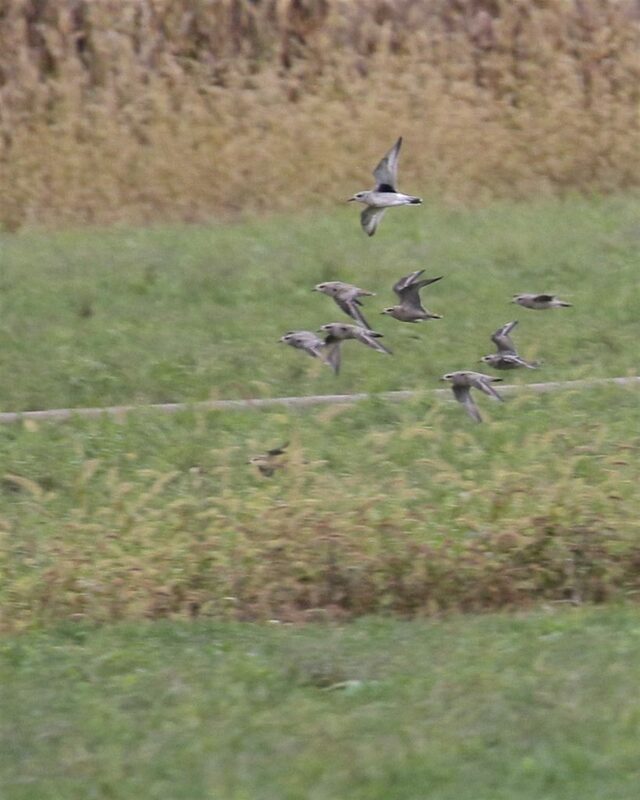 The highlight, however, was when a Killdeer flew over being chased by another smaller bird. Linda picked it up and got me on the birds. 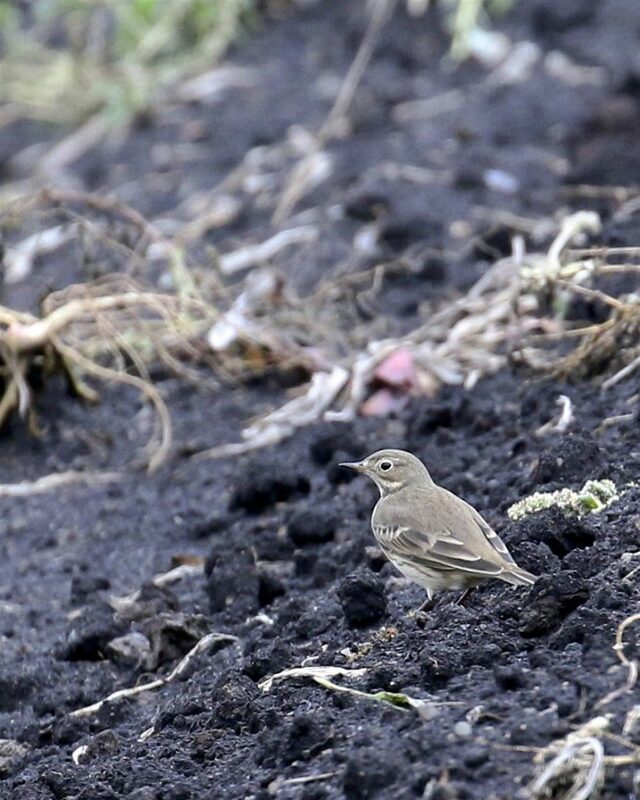 I stayed on the smaller bird and when it landed, I was thrilled to see it was an AMERICAN PIPIT! We eventually saw 3 more for a total of 4 AMPIs. The pipits were my 204th species in Orange County this year. WICKHAM WOODLANDS TOWN PARK: I birded here on Saturday morning so I could stay close to Mt. Peter, in case the weather cleared up. The highlight for me was a trio of Ruddy Ducks. 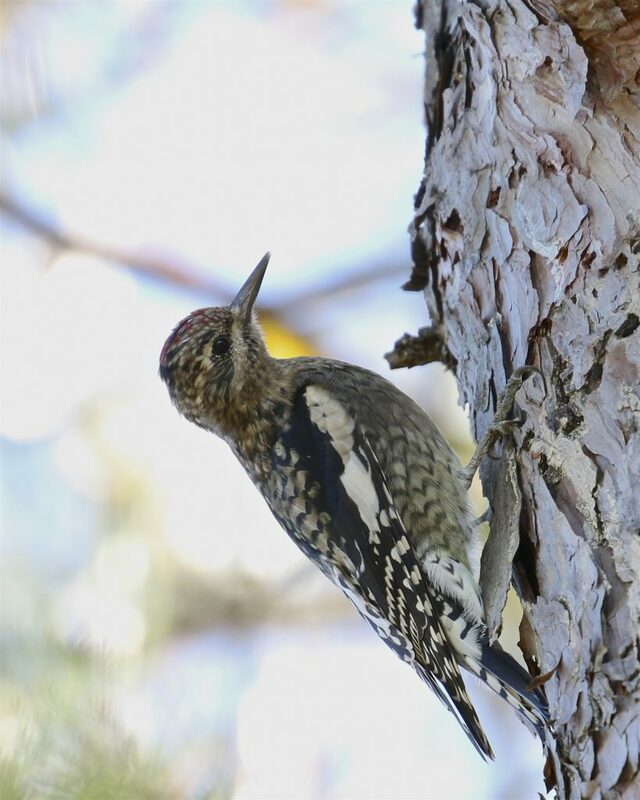 I also had a nice look at a Yellow-bellied Sapsucker, and Mockingbirds and Northern Flickers were present in numbers. 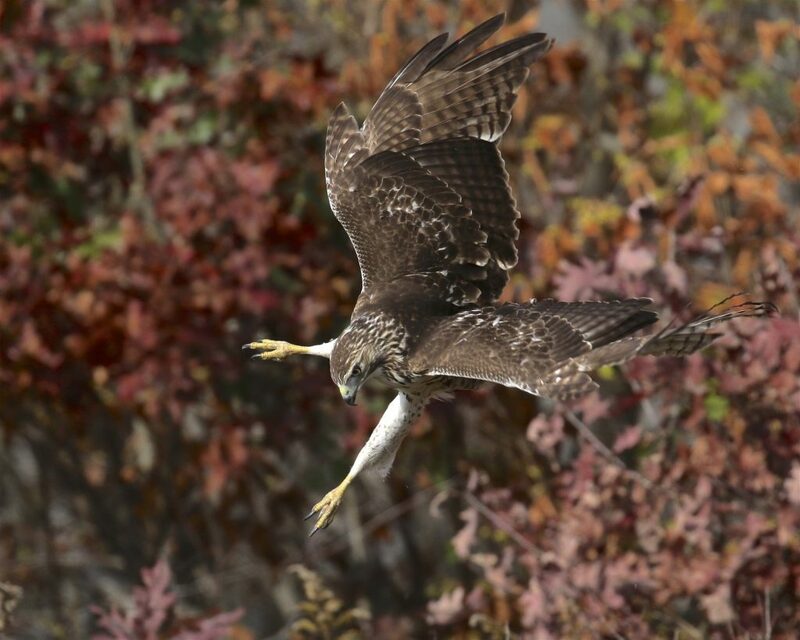 On Friday evening I had a Northern Harrier fly over the pond and a Sharp-shinned Hawk as well. 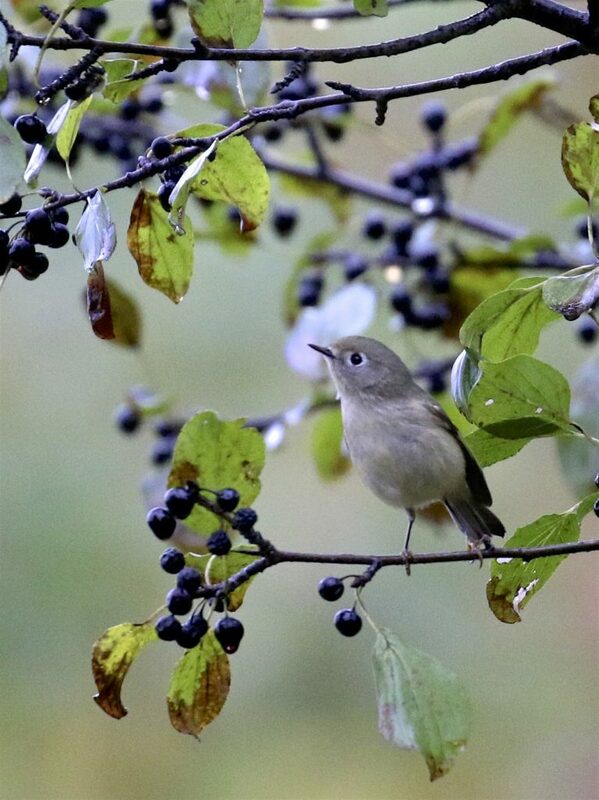 Both kinglets were present on the trail into the pond. 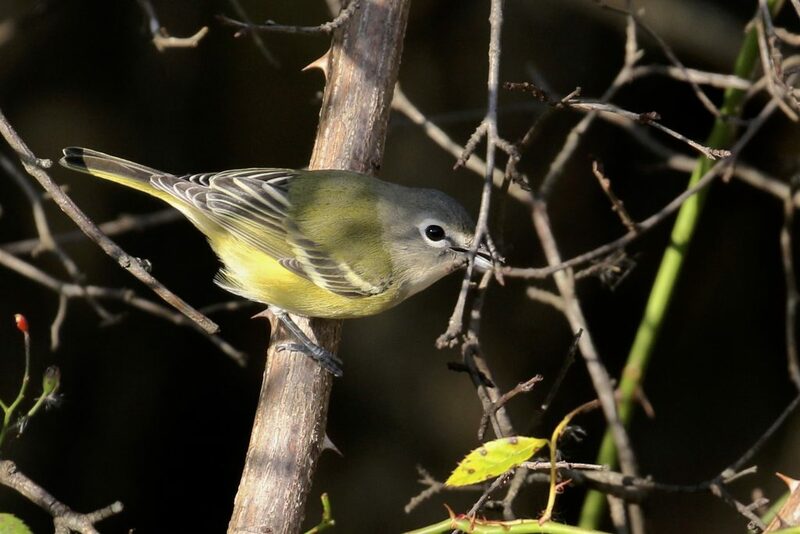 On Saturday I also went over to the Heritage Trail side of the sanctuary, where I had many Yellow-rumped Warblers and a pair of Black-throated Green Warblers. HIGHLAND LAKES STATE PARK: I made it out here for early Sunday morning. 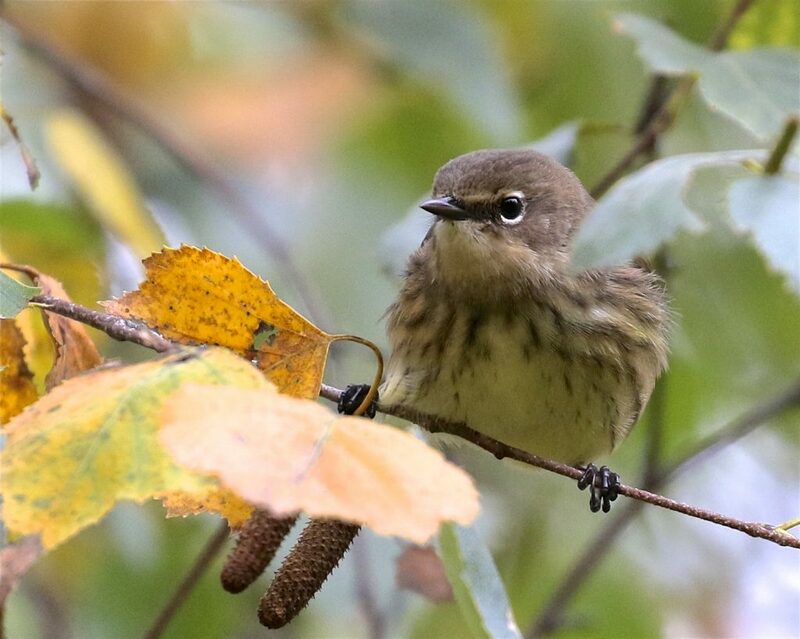 The place was very birdy and I had 27 species plus one unidentified flycatcher in just over an hour. 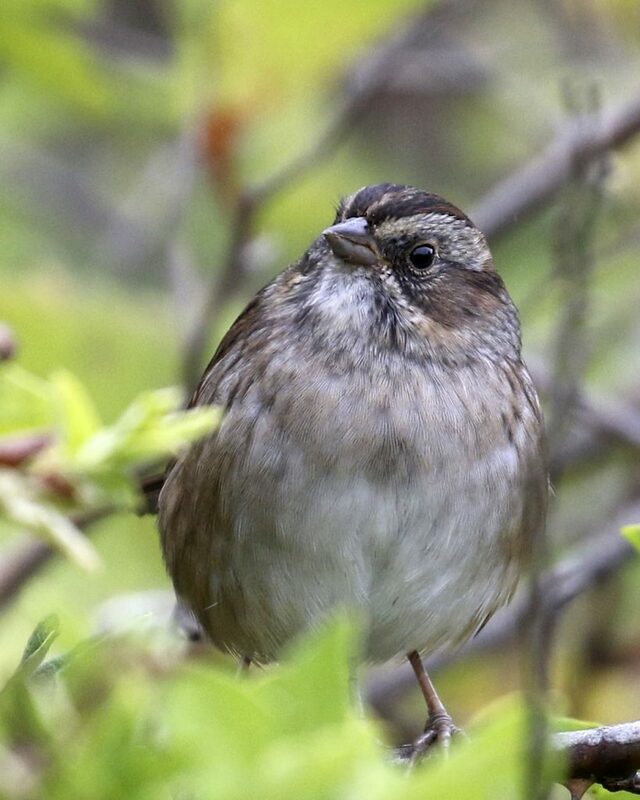 Yellow-rumped Warblers, Ruby-crowned Kinglets, and White-throated Sparrows were all quite numerous. 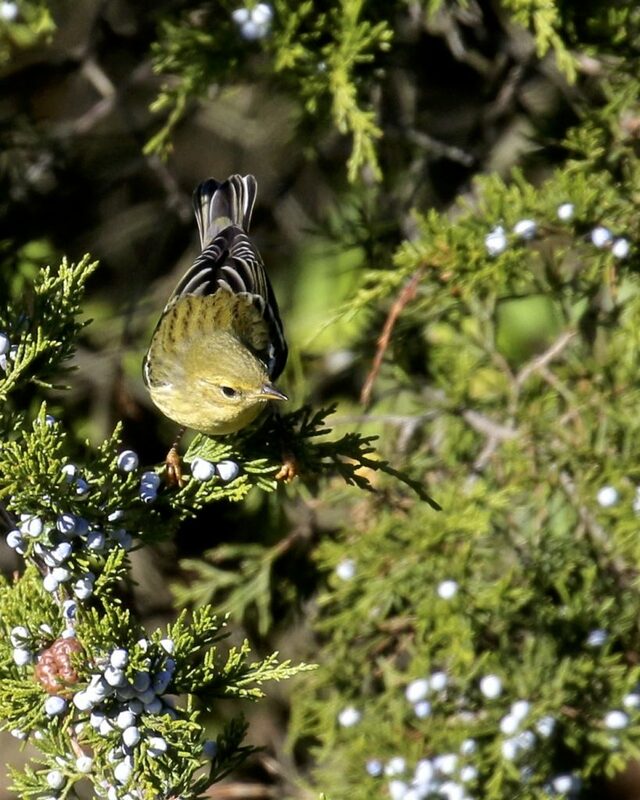 Again, I had a couple of Black-throated Green Warblers, but besides that, not many noteworthy birds.